When it comes to high-volume commercial printing, offset printers take the popularity lead. 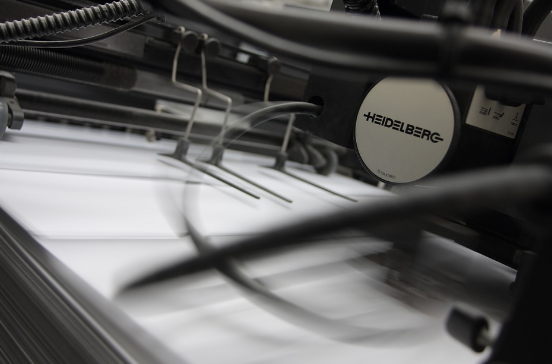 Offset lithography printing entails the image’s transference from a metal plate to a rubber blanket. Then, it’s adhered to the page or another surface. Offset printing remains a favorite among print publications, including magazines and newspapers, due to its very high image quality. It also tends to be more cost-effective than digital printing for large-scale productions. With rising technology, some manual steps have been eliminated, making the process faster and more functional than ever. Meanwhile, offset quality and accuracy continues to improve. Unlike digital printing, you can employ offset printing on a range of materials including cloth, wood, leather, plastic, and various types of paper. Unlike offset printing, digital printing requires very little in the way of manual effort. Since there’s no need to make the color proof or the plates, digital printers are straightforward and user-friendly. They’re also faster than offset printers, producing more consistent and precise copies. Due to the steep cost of setting up an offset printer, digital printing is less expensive for low-volume projects. Still, digital printing tends to be a favorite for advertising and marketing purposes due to its possibilities for Variable Data Printing. This allows the administrator to quickly adjust certain elements of each page without slowing down the printing process. For example, you could easily alter the name on several copies of the same letter. For the best printer service in Jessup, look no further than Laser Line. With a wide selection of color and laser printers to choose from, the business offers every product to meet your needs. Whether you need high-volume printing for your business or a quality repair for your at-home copier, the team of professionals offers the effective solutions you need. For more information, call (410) 636-1700 or check out the printer service’s website.